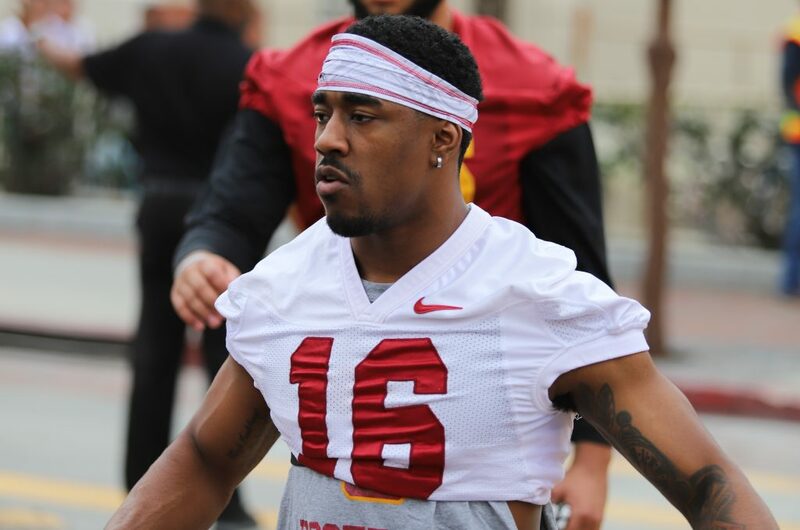 First impressions: In Saturday’s USC Spring Showcase – better known as controlled scrimmage No. 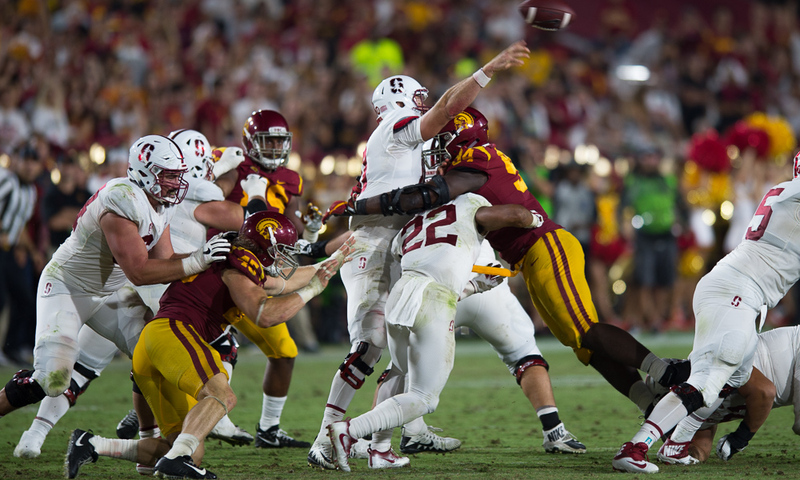 3 – the Men of Troy looked organized, disciplined, had a sense of purpose, looked offensively efficient, especially sophomore quarterback JT Daniels, despite some offensive tackle depth issues. Hey, the Trojans even ran the ball into the end zone from inside the 5-yard line without throwing fades – no kidding! Meanwhile, the defense was aggressive, especially true freshman D-lineman Drake Jackson, in spite of a secondary riddled with injury and depth issues. Attendance wise, it was a very modest Loker Stadium fan turnout at best, but the cardinal and gold faithful seemed to like what they saw, were enthusiastic, and if you were looking for some sunlight in an off-season of darkness, then Saturday afternoon should have given Trojan fans some sense of measured hope. 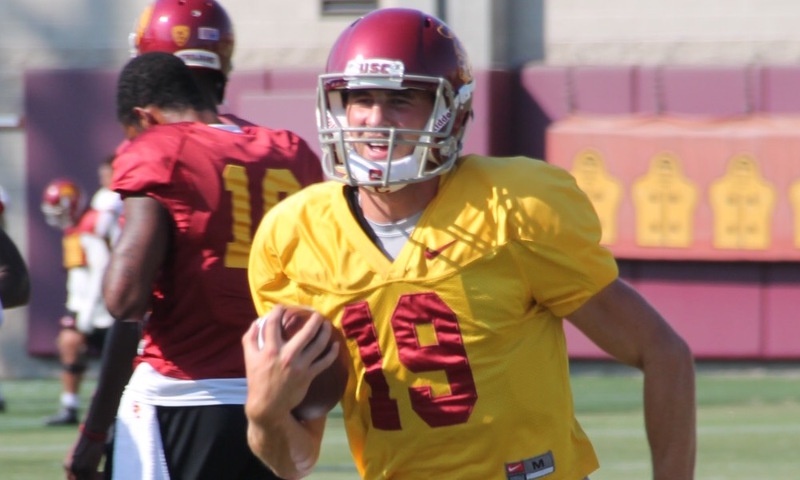 First impressions – offense: Naturally, all eyes were trained both on first-year OC Graham Harrell’s version of the Air Raid offense and the quarterback competition. For the record, Matt Fink started at quarterback during the opening 11-on-11 session. Overall, the offense looked advanced compared to previous weeks as should be expected. Not many deep down-the-field passes, but enough intermediate to short passes to keep drives going. All four quarterback candidates (JT Daniels, Jack Sears, Matt Fink, Kedon Slovis) made positive impressions. Daniels looked the sharpest and made no glaring turnovers. 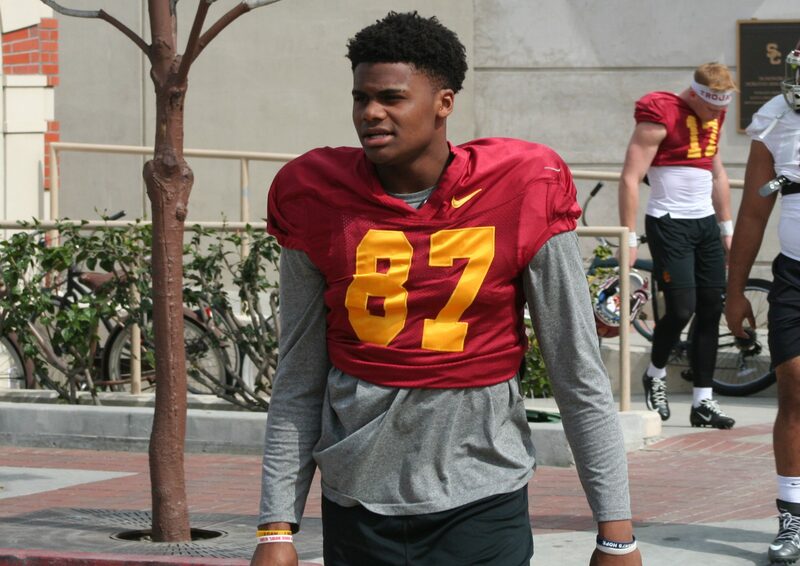 Sears had the misfortune of a Pick-6 by freshman DE Drake Jackson but rebounded moments later with a long touchdown strike down the middle to freshman John Jackson lll (above cover photo), who is one of the surprises in spring ball and reminds some of former Trojans’ standout receiver Deontay Burnett. Fink was his old athletic self and made some nice plays and decisions. Slovis again had the eyes of a QB and performed beyond his true freshman classification. Matt Fink continued to show his athleticism during the Showcase and gave a good account of himself during the scrimmage and continues to be a factor in the quarterback competition. The running back competition was fierce and entertaining. Redshirt freshman Markese Stepp brought the “masses” to their feet when he ripped off a 55-yard scoring run, which was highlighted by surprising top-end speed that left the pursuit in his wake. The run seemed to motivate junior Stephen Carr who ran the ball with authority and looked ready to challenge Stepp. Almost forgotten was the standout, hard running of junior Vavae Malepeai who was his typical self. 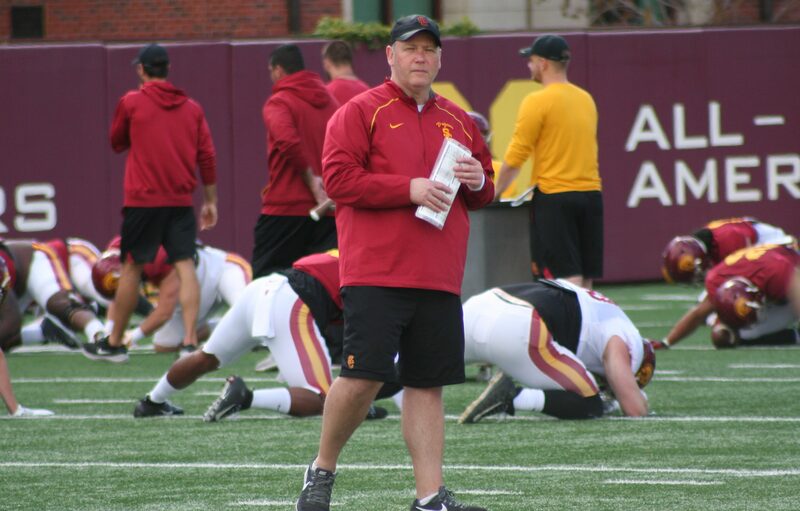 All three running backs showed their ability to catch the football out of the backfield, and Clay Helton was excited with that dimension of his offense. Gentleman Clay did mention that the offense would be 60/40 in pass/run percentages, respectively. The threat of Trojan back coming out of the backfield will be a real factor next season, and one that should pay dividends at various points during a game. The wide receivers – considered a major offensive strength – did nothing to dispute that reputation. Michael Pittman, Tyler Vaughns, and Amon-Ra St. Brown caught most of what was thrown their way and had some nifty moves after catches for additional yardage. Sophomore Devon Williams learned a big lesson early upon being stripped of a reception by CB Dominic Davis. Because of depth issues, the Trojans did not throw much to the tight ends. The offensive line, which displayed large splits between linemen, did a workmanlike job considering that both starting tackles – junior Austin Jackson (personal) and Jalen McKenzie (shoulder) did not participate. With the offensive tackles missing, it gave former Mater Dei tackle Frank Martin ll, a junior, a chance to show his skills early. The new offensive playbook and schemes have definitely made the offense line better just by scheme and the quick release of the quarterbacks. Are they ready for Notre Dame, Washington, or even Stanford? Well, let’s not too carried away, but they did work as a unit despite missing the top three offensive tackles. It appears that the No. 1 center is now sophomore Brett Neilon. The guards? The first unit had sophomore Alijah Vera-Tucker at left guard and veteran junior Andrew Vorhees at right guard. First impressions – defense: The big scrutiny for Clancy Pendergast’s defense was would the Showcase game present any progress in defending the run and mounting an advanced pass rush? Well, Markese Stepp’s long touchdown run certainly raised eyebrows for those looking for a new and improved rush defense. We can say the defense was certainly attacking, but the quarterbacks were getting the ball out so quickly made it was hard to get a sack, which is the idea. Obviously true freshman defensive end Drake Jackson had a big day with a Pick-6 off of Jack Sears and a “tag” sack earlier. Jackson is a man amongst boys, and we continue to believe that he is the best of the Class of 2019 and would even say that even if WR Bru McCoy had elected to remain a Trojans and not transfer to Texas. You could also say that impressive was the play of converted tailback-to-corner of senior Dominique Davis, whose speed is a major asset at corner. With depth a major issue in the secondary, Dom made his presence felt when he stripped a potential big gain reception by WR Devon Williams and turned it into his own TD destination, which seemed to set the tone for the defense. Davis is getting his shot in the secondary rotation. The issue with the defense was a lack of potential secondary front liners – in terms of depth – provided the offense with some opportunities, especially in the run game support. 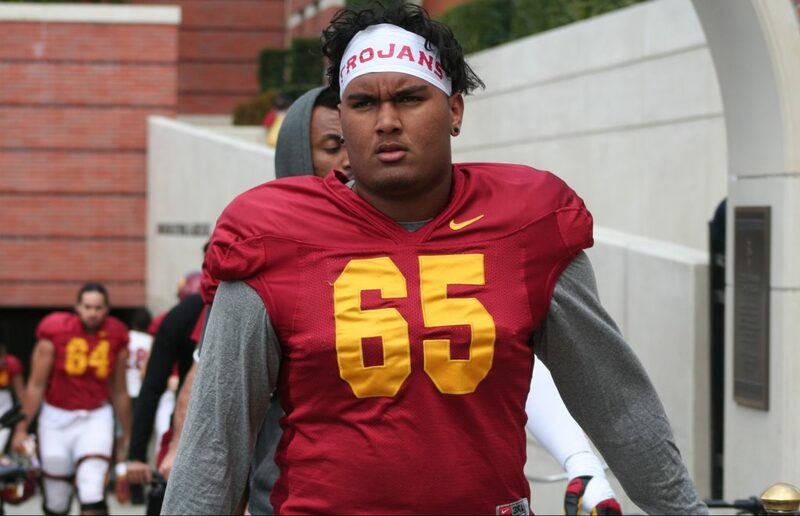 We liked the big hitting of sophomore outside linebacker Palaie Gaoteote, who early in the scrimmage lit up a running back with a major smack. The major linebacker challenge in the future will be the Trojan linebackers as a unit will be defending against running backs coming out of the backfield. There were too many times when Trojan running backs were allowed too much yardage after a pass reception. It’s all correctable, but it is something that needs to be addressed. 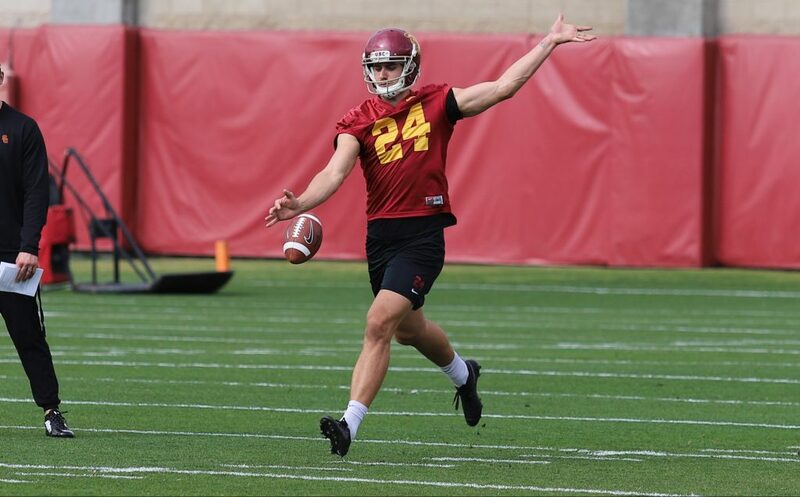 First impressions – special teams: Redshirt freshman punter Ben Griffiths has received a lot of publicity for his performance in spring ball, but on Saturday the 27-year-old Australian did not attempt a punt. The Trojans apparently wanted to use their time in “showcasing” their offense and defense. Bottom line: No matter how impressive some of the individuals performed, how organized things looked, and how disciplined things appeared to be, it would be wise to remember the Trojans were playing against themselves in front of a small turnout, so nobody knows what this team is all about until they play out their 2019 schedule, which begins with a home game against Fresno State on Aug. 31. The deception: One specific offense play that drew fan reaction to the old “shovel pass,” used to eventually slow down a pass rush. If executed properly, it’s almost a middle screen. Celebrity watch: Notables in attendance on Saturday included former Trojans WR JuJu Smith-Schuster, WR Nelson Agholar, LB/S Dion Bailey, DB Jack Jones, LB Eric Williams, commits OL Jason Rodriguez, WR Munir McClain, WR Drake London, and 2020 recruits QB Bryce Young (verbal), WR Joshua Jackson Jr (verbal), and OL Myles Mauro (Mater Dei). 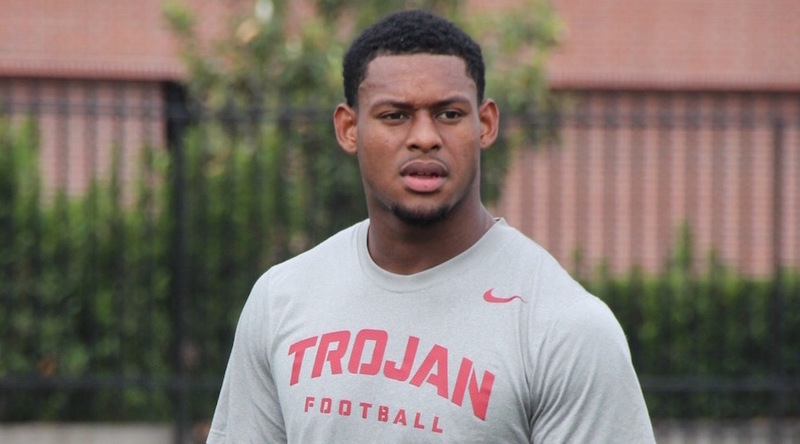 JuJu Smith-Schuster, now a star with the Pittsburgh Steelers, was at Saturday’s USC Spring Showcase and continues to show his support for his alma mater. 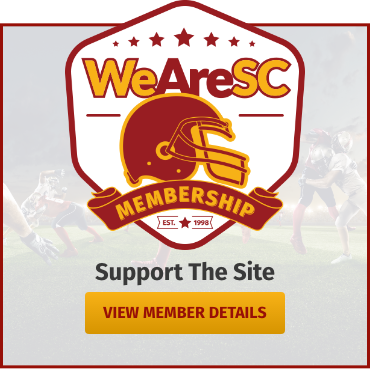 Swann song: On Saturday,there was no sign or reported sign of attendance by USC athletic director Lynn Swann. 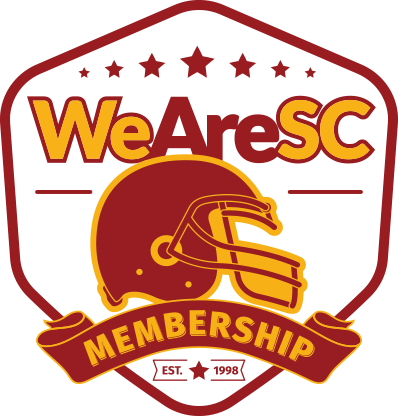 Fan warning: Although those fans in attendance are probably glad they came to see the USC Spring Showcase, some estimated the attendance between 1,000 – 2,000 give-or-take. You may interpret that any way you want or even rationalize why the attendance was sparse. Remember the good old days in the Coliseum when a Pete Carroll spring game would draw close to15,000 to 20,000? Saturday was unfortunately a sign of the times, and one wonders what the attendance will be like in 2019. 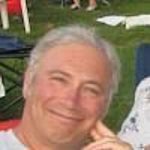 The thermometer: What was predicted to be a cool and cloudy day Saturday actually ended up a very sunny and comfortable mid-morning experience. While the stands at the Loker Track Stadium weren’t close to capacity, those that did make their way into L.A. enjoyed the setting and the performance of a work-in-progress team. 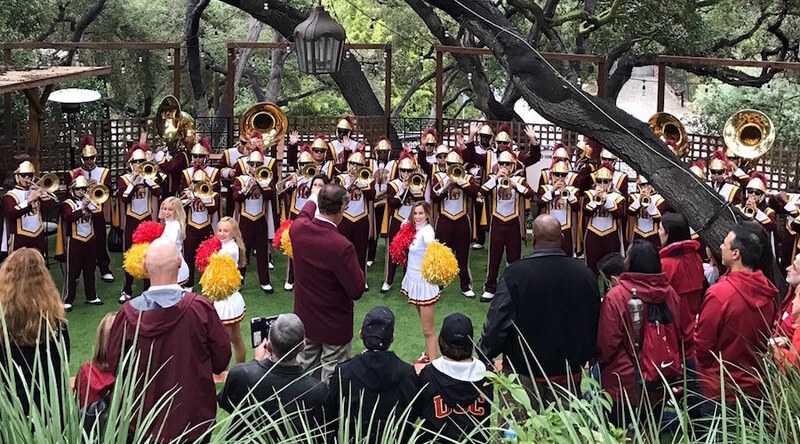 The return: As advertised, the USC Song Girls, banned from the men’s basketball games, were warmly welcomed back as they should be. They were busy in pregame dancing and doing their thing. 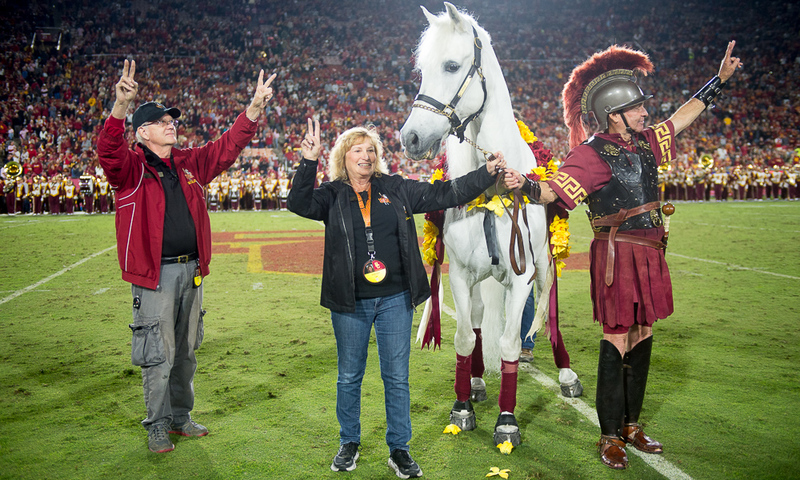 Still the one: As usual,Troy’s iconic mascot horse, Traveler, was a popular photo op for fans in attendance. The parking spot: Because of the lack of overall attendance for the USC Spring Showcase, parking on campus was obviously not a problem. The copycat: According to Pac-12 columnist Jon Wilner, the Pac-12 Network is looking for ESPN Game Day football success next season when it does its version of a pregame show, televising “The Pregame” to campuses across the conference for day-long broadcasts. Change of focus: JonWilner also reports that Pac-12 Network president President Mark Shuken has placed greater weight to football and men’s basketball than was the case prior to his arrival, when football and basketball appeared to receive the same type of coverage as Olympic sports. Scouting ahead: The Pac-12 Network will continue its football spring game coverage next Saturday, televising Utah (10 a.m.), Stanford (1 p.m.), and Arizona (5 p.m.). All times are PDT. Check out Stanford’s spring game next Saturday on the Pac-12 Network at 1 p.m. The Cardinal will be the Trojans’ first Pac-12 game of 2019 when they come to L.A. on Saturday, Sept. 7. Feeling a draft: For those that want to plan your NFL draft days accordingly, the big day(s) for former Trojan NFL hopefuls begins with the first round on Thursday night (5 P.M. PDT), April 25, and concludes on Saturday, April 27. This year’s draft, which goes seven rounds, is being hosted by the Tennessee Titans in Nashville, Tennessee. The last word: A special basketball shout out to former USC All-America men’s basketball guard Paul Westphal, who was elected to the Naismith Memorial Hall of Fame on Saturday. Paul becomes the 11th Trojan in the Basketball Hall of Fame. Others honored in the past include six men (Bill Sharman, Jack Gardner, Alex Hannum, Tex Winter and coaches Sam Barry and George Raveling) and four women (Cheryl Miller, Cynthia Cooper, Lisa Leslie and Tina Thompson).